Movie Review: A movie about the movie business what more can I say. The movie is also a family affair, it’s writing and directed by Zoya Akhtar, with dialogues and lyrics by father Javed Akhtar and starring the main lead brother Farhan Akhtar. Luck By Chance marks the debut of Zoya Akhtar as director. The story is well written and first time director Zoya has done an excellent job to capture the story on film. 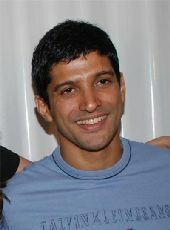 After a great debut in Rock On, Farhan proved that he is not a one film success actor. He has acted very well and is here to stay.